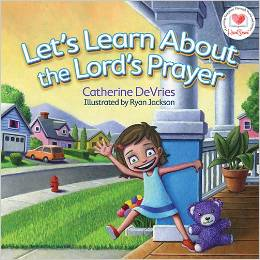 Let’s Learn About the Lord’s Prayer by Catherine DeVries is a delightful children’s book that teaches the Lord’s Prayer. Geared toward preschool aged children, it provides a simple way to help kids not only understand the prayer itself but the meaning behind each of the verses. Emma is a four-year old who walks the reader through the Lord’s Prayer while teaching it to her favorite toy. It’s well illustrated and the content is easy for young children to understand. I received this book from Netgalley.com in exchange for my honest review which I’ve provided here.